Is Abu Dhabi’s Super Mall The Future For Retail Development? Next month the doors to Abu Dhabi’s brand new super mall open, boasting an entertainment and shopping destination like no other. It is set to be the shopping and entertainment getaway for locals and tourists alike and will open to 20 million visitors per year. Mohammed Khalifa Al Mubarak, CEO of Aldar Properties, the developers behind the ambitious design told CNN this is a conservative estimate. "Over the last five years, the growth of both Dubai Mall and the Mall of the Emirates has been immense," Mr Al Mubarak said. 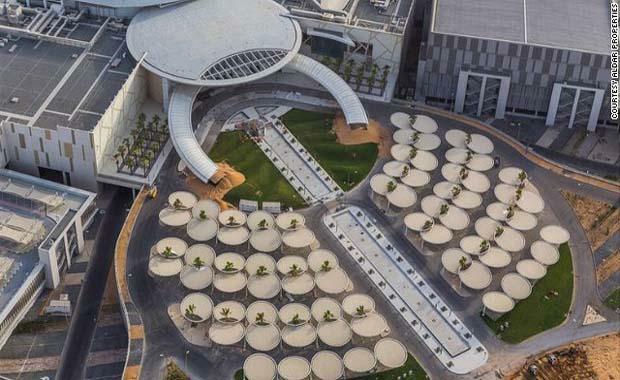 With over 400 stores, Yas Mall will be the second largest shopping complex in the United Arab Emirates, developers hoping it will emulate the success of neighbouring Dubai Mall -- double the size at 502,000 square metres. International brands include Debenhams, Marks & Spencer, Chalhoub Department Store, VOX Cinemas, Lego and, Geant; as well as The Cheesecake Factory, P.F. Changs, Angelina and Paul Café, House of Fraser, Mango, Zara, Ted Baker and Adidas. Mr Al Mubarak told CNN that the mall is already talking about expansion. Yas Mall has been built on the island off the coast of Abu Dhabi called Yas Island, a man-made $40 billion dollar holiday destination. The island was opened in 2009 and features a Formula One circuit, water park and "Ferrari World" with the fastest roller coaster on the planet. CNN reports that last year the city was ranked 18th in the world in terms of new retail space.